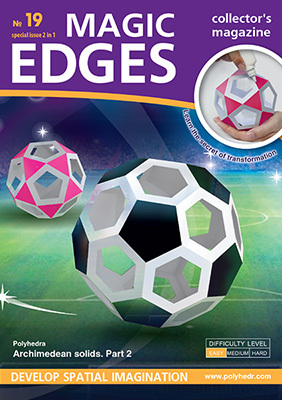 Archimedes, a scientist from Ancient Greece, discovered thirteen types of polyhedra, now called Archimedean solids, which are also referred to as semi-regular polyhedra. Each of them is limited by different types of regular polygons where the polyhedral angles and identical polygons are equal. Furthermore, the same number of equal faces meet at each vertex. In the same order, each of these solids can be inscribed into a sphere. All these thirteen names make your head spin when you see them for the first time. However, it is possible to sort things out, understand and remember them. How is the name of the polyhedron formed? Pay attention to the fact that there is a word-basis for every type of polyhedron which forms their names. It is this word-basis that helps to classify the current polyhedra to one of the five regular polyhedra. Which polyhedra forms the basis? One of the five Platonic polyhedra forms the basis for these 13 types of polyhedra. What geometric figures can be used to construct Archemedean polyhedra? 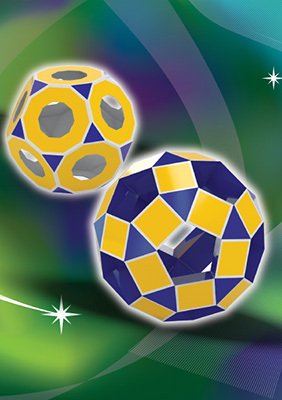 All types of Archemedean polyhedra can consist of a certain set of regular. To create a collection of polyhedra, we need to adhere to certain conditions, so that sizes will be comparable and models can easily be compared with each other. 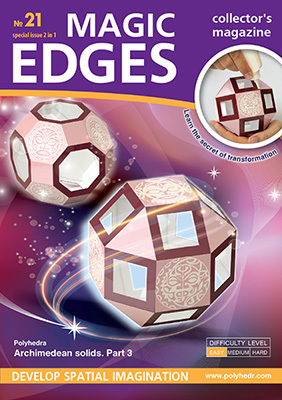 Magic Edges № 31 (Truncated rhombicosidodecahedron). What is the relationship between an octahedron and a cube? 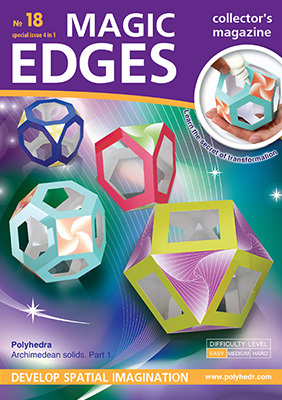 For your convenience we have reduced the cost of delivery of the sets "Magic Sides" many times!